The past few weeks have been an exciting time for me. At the end of February I took a trip out to London to check out music schools. While there I was fortunate to meet many wonderful professors at King’s College London, the Guildhall School, the Royal College of Music, and the Royal Academy of Music. Between the time I spent, the warm greetings I received, and what I heard of the music making at these schools, I got some very favorable impressions of all of them. Moral of the story: if they’ll have me, none of you readers of my blog (all three or four of you) need be surprised if I end up in London soon. In other news, my piano trio “Gorre and Daphetid” was read and recorded by Curtis Macomber, Chris Finckel, and Stephen Gosling while I was away in London, and the recording was a wonderful “welcome home” present. I had written the piece in collaboration with my dancer friend, Anne Garlick, for a performance in April. Stay tuned for more news as the premiere of her choreography approaches! In the mean time, you can listen to the music and read more about it. Update: I just found out the dates for the dance concert: Thursday, March 31 and Friday, April 1. The premiere of my organ piece, “In and Through All Things,” is coming up at the end of March. If any of you happen to be in Moscow (Russia—not Idaho) then, I encourage you to go. Doug Bush is a fabulous organist, and I expect the premiere and the concert to be wonderful. Dude, Joseph. I’m so jealous of your world travellings! It sounds like such an amazing experience. Your piano trio sounds really fantastic. Really great and intriguing string writing. Great reading of the piece. I can’t wait to see it with choreography in April. Some day I’ll be half as cool as you. 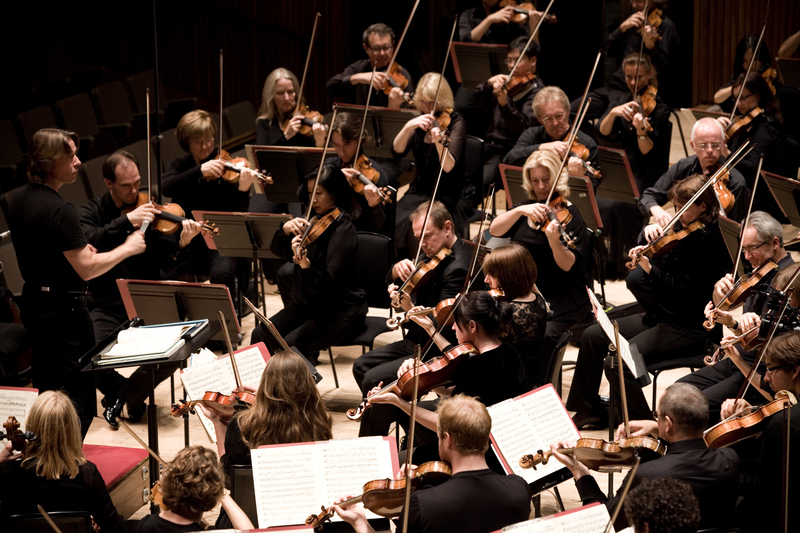 I remember seeing the Philharmonia in London led by Esa-Pekka Salonen. They were incredible! I just wish he would have stayed with the LA Phil. Congrats on all the recording and the premiere! So awesome exciting! Copyright © 2019 Joseph Sowa | Theme by SiteOrigin.